The S A T S General Botha Memorabilia collection, including the above items, was opened on the 29th October 2003 by Flag Officer Fleet Rear Admiral E.M. Green, SD, SM, MMM, at the Naval Museum in Simon’s Town. This historically valuable collection has been carefully preserved by the General Botha Trust, since the last intake year in 1987. 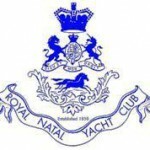 This Trust was established by the last Board of Control of the General Botha, then under the Chairmanship of Captain Arthur Bluett (Cadet # 1455).The Trust is presently under the Chairmanship of Captain Kieron Cox (Cadet # 2364)"